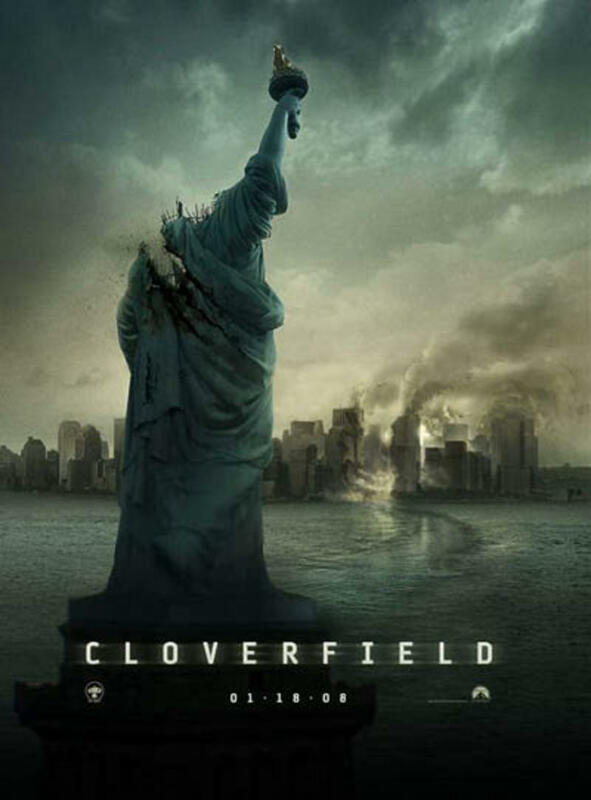 I somehow missed all the hype surrounding Cloverfield… the smart trailer, inspired by Close Encounters Of The Third Kind, the mysterious nature of the force set on destroying The Big Apple, the online discussions, the origins of the film title, it being a J. J. Abrams project, the debut, the top dollar, the unusual point of view (the traditional monster flick – inverted)… So last night I asked Kalo and Rash if it was a good night-time, alone-at-home movie. They confirmed. So I watched. And they were right. A simple, great fact to start with – it’s only about one hour and 20 mins long. As a true American would say: awesome! That’s a novelty in itself. And one good reason why it’s a good night-time movie – there is a lesser chance you would fall asleep. Another good reason might be the way it’s shot – seemingly through a hand-held camcorder all the way through (actually many cameras were used, some 25 klios heavy, but trust me, it doesn’t show). So if you put aside believability issues like how come the battery lasts for hours, and how come the filming character never quits filming, while all hell breaks loose… well, put that aside, really, at the very beginning, as this is not what lies at the heart of the movie. It’s a glorious ride through the streets, bridges, high-rises and tunnels of Manhattan, it’s visceral and so real, it recreates the modern fear of an urban apocalypse, with throwbacks to September 11, plane crashes (or, to be precise, helicopter crashes), crumbling buildings and what have you. The greatest thing about the approach might not even be the somewhat revolutionary decision to play it all as an approximation of a one-shot movie… the greatest thing is the film’s smart reluctance to subject its great premise to the loudness of any special effects. The effects are there and are great, but are seamlessly integrated in the style – hand-held, a specific person’s subjective POV, don’t you forget it. So some potentially great “impact moments” are simply lost while the filming character frantically runs for his life through ruined streets, or, filled with adrenaline to the brim, tries to zoom in on the sudden drama and crazy carnage that just happened a few step away. And the fact these moments are “lost” makes them the more effective in their absence. For some reason, maybe surprisingly, the acting is not something really worth commenting on, though I read many views on the cast – graded from the ridiculous to the sublime. The filmmakers wanted non-familiar faces, they got them, and I think they do the job. And one last thing, you might have missed if you didn’t read about it (I did) – in the film’s closing shot, which replays old footage on the same tape that captured the monster story, there is a tiny little detail, let’s call it a splash… Reeves and Abrams’s signature, and idea about the origin of the monster, and – some say – a gateway into a sequel… Whatever it is, it’s fun to discover!